Gorgeous Pearl and Crystal Necklace and Earring Set Only $4.75 + FREE Shipping! You are here: Home / Great Deals / Amazon Deals / Gorgeous Pearl and Crystal Necklace and Earring Set Only $4.75 + FREE Shipping! 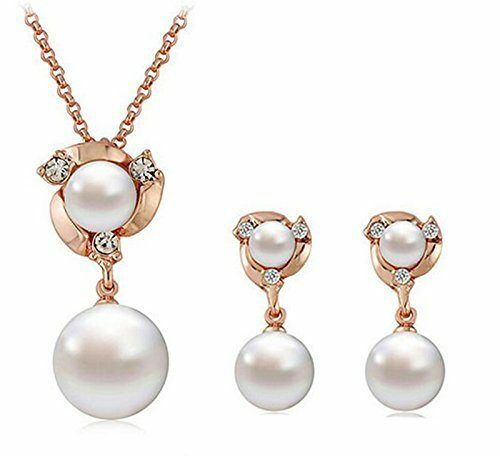 Check out this gorgeous jewelry set – get this Pearl and Crystal Necklace and Earring Set for just $4.75 + FREE shipping! That’s a fantastic price for a necklace AND earrings! This would make a great Valentine’s gift for someone or a gift to hang onto for later in the year!